HbsAb ELISA kit - HbsAb ELISA assay | GMP | 818-591 3030-USA. 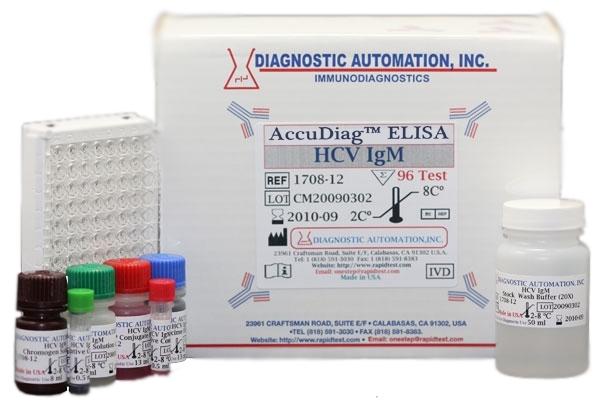 This anti-HBs ELISA test is an enzyme-linked immunosorbent assay for in vitro qualitative identification of antibodies to hepatitis B surface antigen (anti-HBs) in human serum/plasma. The intended use for the HBsAb ELISA Test is for clinical lab diagnosis of patients who are suspected of having hepatitis B virus infection. critical stage of infection that a strong immunological response occurs. 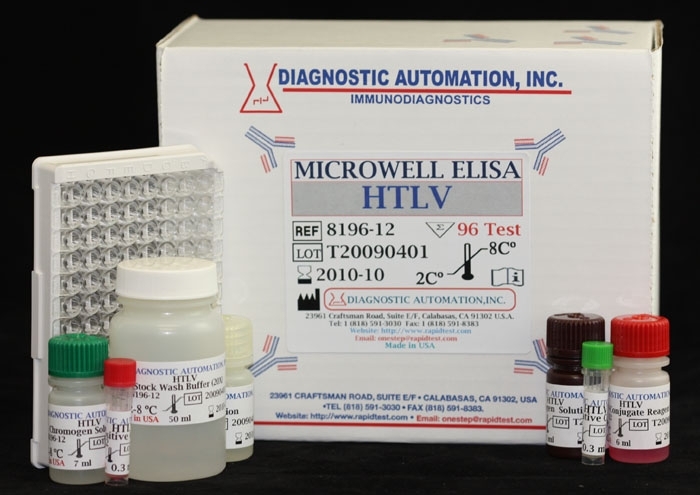 The HBsAb ELISA Test kit employs an antigen sandwich ELISA technique where polystyrene microwell strips are pre-coated with recombinant HBsAg. 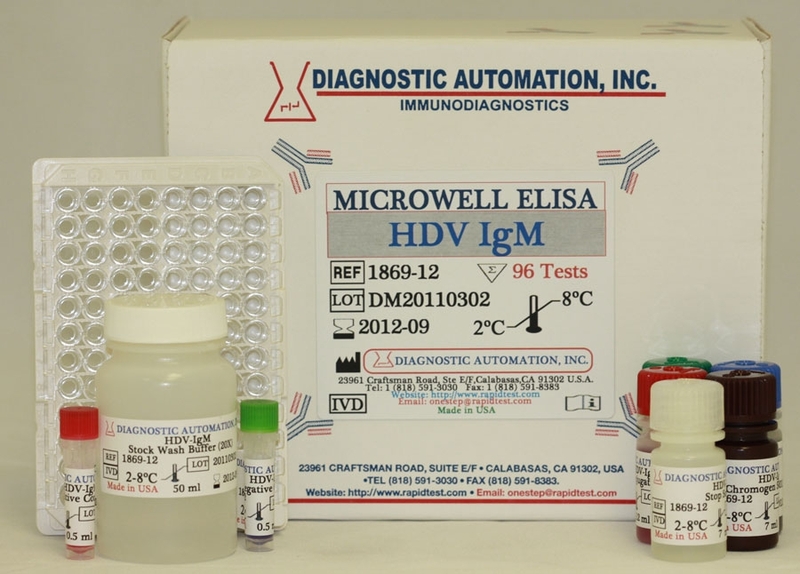 The test begins by having a combination of patient's serum or plasma sample being added to Horseradish Perioxidase (HRP-Conjugate) to the microwells. If anti-HBs is present, the pre-coated and conjugated antigens will be bound to the two variable domains of the antibody. 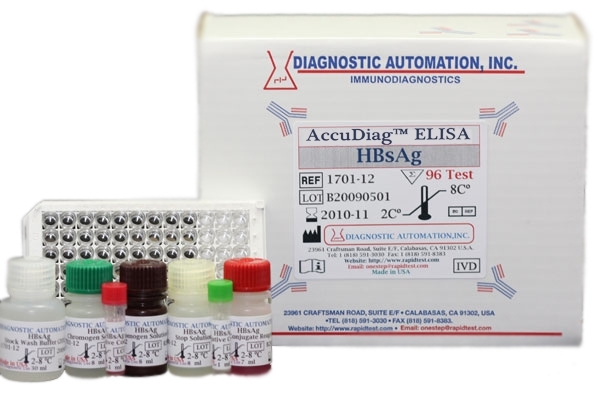 Diagnostic Automation HBsAb ELISA kit, is an enzyme-linked immunosorbent assay for the qualitative detection of antibodies to hepatitis B surface antigen (anti-HBs) in human serum or plasma. 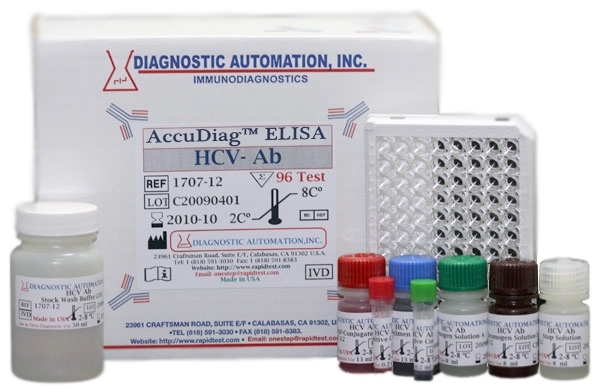 HBsAb ELISA kit can be used as an aid in diagnosis of clinical conditions related to hepatitis B virus (HBV). 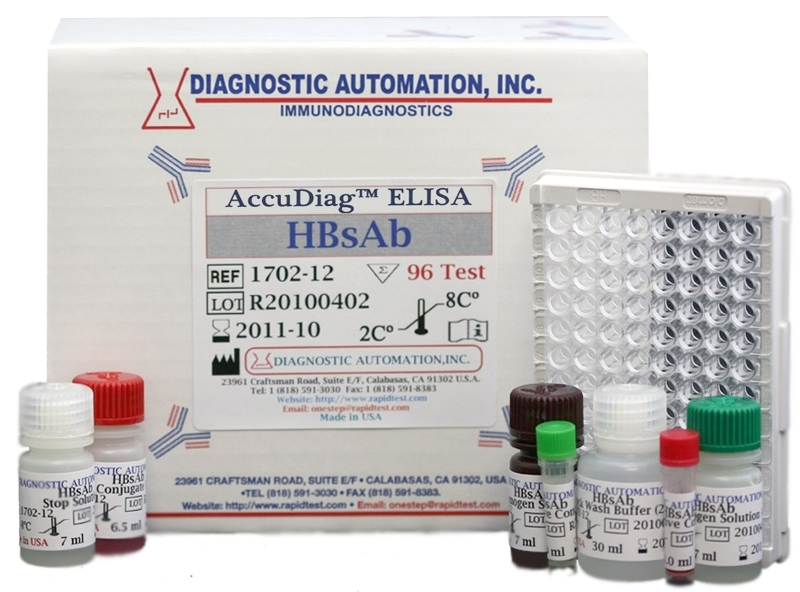 This HBsAb ELISA kit can also be used for screening of blood donors. The Sensitivity of the HBsAb ELISA kit is 100%.